Did you know that there are different golf balls for women than there are for men? Of course, men and women can use the same golf balls, but the differences between the two types of balls can have an impact on your game. If you want to play at your very best, then you should have the kinds of equipment that play to your strengths. We are going to show you how certain kinds of golf balls are better for women than anything else and then show you what to look for when you try to buy the best golf balls for women. We’ll even show you a few of the top choices on the market today to help you make a more informed choice. We have given you advice on what to look for, and now we want to point out a few of the best golf balls for women that you could find in golf shops today. Maybe one of these is exactly what you need. 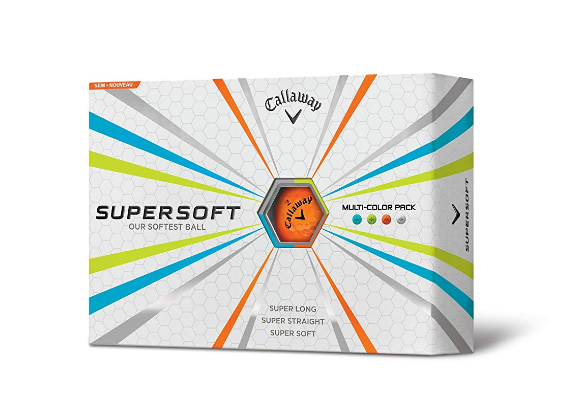 Women should usually go for softer balls, and you can’t get much softer than these from Callaway. They are priced for a tight budget and offer great control, but they are so soft that they fall apart or offer little distance. These are a fairly well-rounded choice for female golfers, since they lean toward a softer feel, but they still offer some decent speed and distance features. Soft feel gives excellent control. Good value ball, even for beginners. Low compression keeps the spin down. Can be too soft for some players. Cost a bit more than the average. These balls are made for ladies, but not because of their pink coloring. No, they are perfect for female golfers due to their soft exterior and low compression. They are designed with over 300 dimples on each ball to ensure that they travel far with each hit. The bright pink look makes them easy to track through the air and easy to locate on the ground. It may not make any difference in how accurate your shots are, but the bright color does offer some added convenience. Soft feel and low compression. Tons of dimples for extra distance. You get what you pay for, as they don’t last too long. May not be soft enough for some players. You’re getting these at a great price, but you lose out on the long-term value with them. They will work well for you at first, but they wear out faster than much of the competition, so they are excellent for beginners who tend to lose a lot of balls. The cover is a bit harder than other women’s balls, so make sure your swing speed matches up to the way these balls are designed. The dimple pattern helps you get some extra distance and speed, but these balls lack the control of much of the competition. Superb price point gives you plenty of value. A bit on the dense side. Less control than competing balls. You’ll pay more for these than any of the other balls on the list, but you’re getting enhanced visibility with the multiple colors of balls and greater precision and speed due to the unique construction of the balls. The low compression and soft feel give you great control and match high handicap players needs very well. The hard inner core, however, allows for longer, higher flights, without sacrificing control, making for a powerful combination that isn’t really offered by much of the competition. Two layers provide control and speed. High visibility due to the colors. Very different from much of the competition, which means they can be tough to get used to. This is a high fashion ball at a low fashion price, offering you one of the more affordable options we have covered here today. 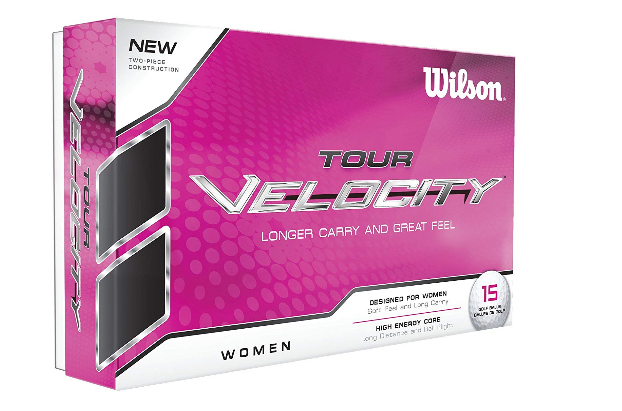 These give you more distance and speed than you get with a lot of the women’s golf balls, and that means you are sacrificing some control and accuracy, but not much. The soft outer layer is great for quick plays, making it easier for you to hit the ball how you want it with the first stoke. Over 300 dimples on every ball ensure that there is plenty of speed and height for each hit, so you may want to give these a try if you have trouble hitting your balls far enough. Comfortable to use for both new and experienced players. Having the right equipment seriously impacts your performance out on the green. The distance your balls travel, how high you hit them and how accurate your shots are will be affected by the quality and suitability of your equipment choices. This is especially true of golf balls, which can range from high quality to low quality. Golf balls for women tend to be compressed differently and tend to be adapted for a slower swing speed than men’s golf balls. 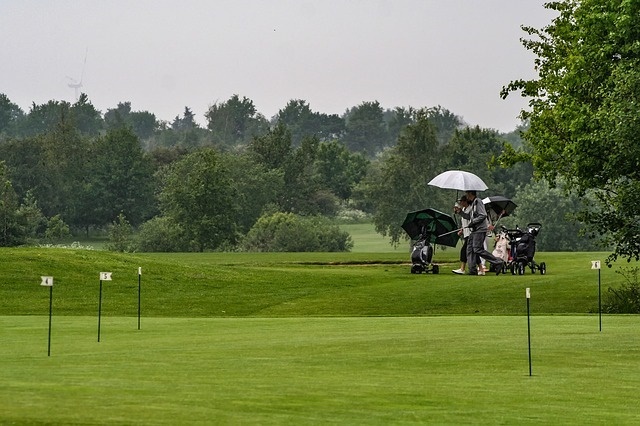 There is some disagreement among golfers and golfing manufacturers about whether men and women need different golf balls, according to Golf Info, so you’ll have to make the choice for yourself. However you should be aware of the differences between golf balls made for men and those made for women. Some golfing manufacturers will not make different balls for the two genders, but others offer some choices that let you choose what is right for your swing speed and play style. You should realize the impact a different weight or different compression on a golf ball can have on your swings. 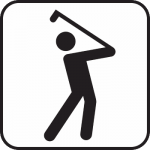 Women who are unusually strong or who already know they swing very fast may not even need to consider using a woman’s golf ball. They may do better with something made for a man, but the majority of women golfers should at least consider the female option. 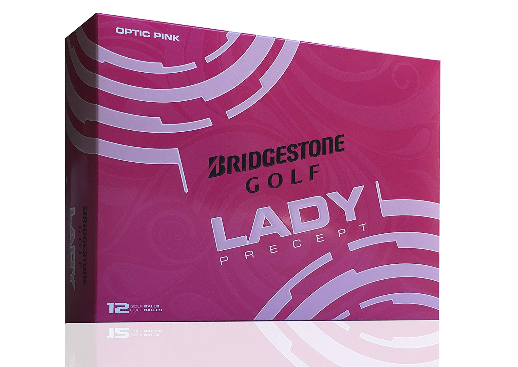 If you buy a high quality women’s golf ball, then your performance should improve, if you were using a men’s ball in the past or using something that was not made for a specific gender. You should see your balls fly further and your shots become more accurate. The difference may not be huge, but it will likely be noticeable. Compression Rating- The compressing rating on a golf ball tells you how dense and how hard the ball is. The higher the compression rating, the harder and denser the ball tends to be, making it tougher to hit farther if you have a naturally slow swing speed. That’s why women’s golf balls tend to have a compression rating somewhere between 60 and 70, according to Livestrong. You’ll have to decide if you need a low or high compression rating for your ball, based on your swing speed and strength. Dimples- The number and the design of the dimples on a golf ball affect how high the ball flies and how far it flies. You will likely want to experiment with different patterns and dimple densities to find what works best for you, but just bear in mind that those tiny dimples on the ball do have an impact on how the ball moves. Your Preferences- The best way to find a golf ball that works well for you is to try a few different ones out. The first ball you try out may not be the best one for you, even if you do fairly well with it. There could be room for improvement, so don’t feel afraid to test out some different balls and see how they work for you. Stick to One for a While- It’s not a good idea to go from one golf ball to the next just because the previous ball wasn’t working out for you. You need to give each ball a fair shake, and that may mean playing with something that you are having trouble with just to see how it affects your game over time. Keep in mind that just because you perform poorly with a ball at first, that does not mean you will continue to do so after you have been using it a while. It may just take some getting used to. 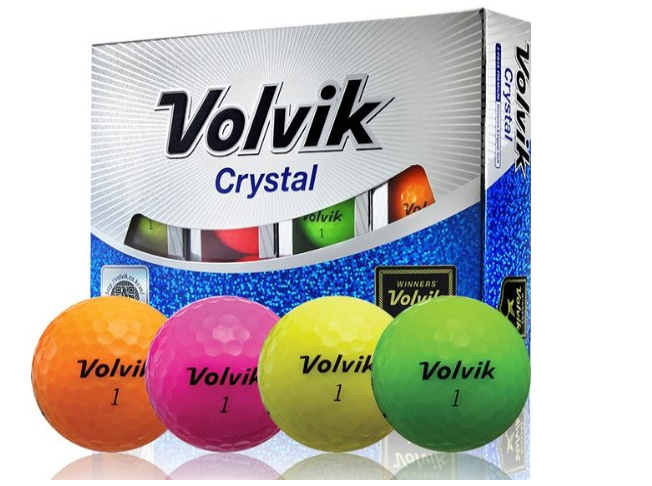 Buying for the Colors- Women’s golf balls often come in pink or pastel colors, and those colors make no difference whatsoever in how the ball plays. While a colorful ball may be appealing, the only advantage it can offer you is to make your ball easier to find, but don’t fall for the notion that pink or feminine-looking balls are any better than a plain, white ball. Harder Balls- Golf balls that are very hard are tough to control, and if you are unsure of what kind of ball would work best for you, then you should lean toward softer balls, says LostGolfBalls.com. That’s going to give you greater control and allow you to hit your shots more accurately. Once you get better, you may be able to gradually move on to harder balls, but you should start out soft. Side Spin- Look for balls that have low side spin, as that will cut down the chances that you hook or slice the ball. You need some spin on the ball to make sure it gives you distance, but keep in mind that more spin means less control. 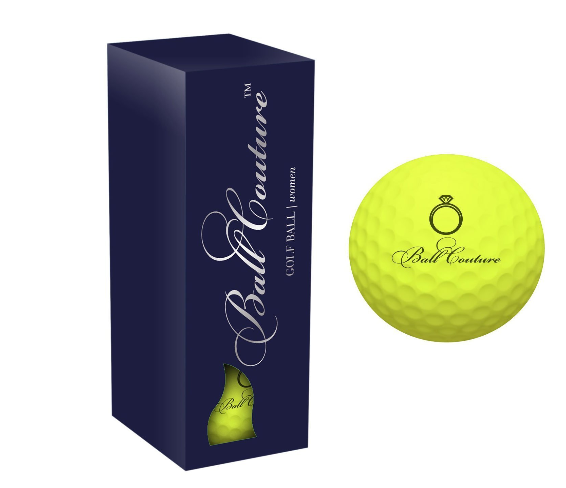 Buying Expensive Balls- Women who are just starting to play golf would do well to stick to budget balls at first. That’s because they will lose a lot of balls at the beginning, and setting a budget for yourself at the start will be a great way to keep your losses under control. We have shown you what to look for in order to find the very best golf balls for women, and now you should be able to make a smart choice. 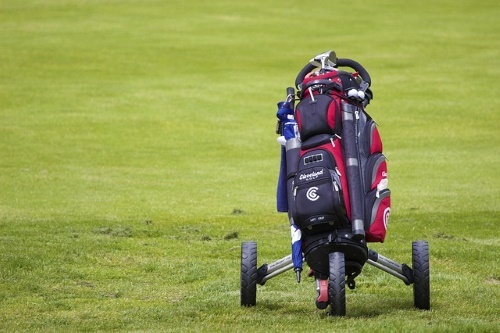 If you need help in finding other equipment for your game, please check out our selection of articles regarding finding the best golfing equipment.